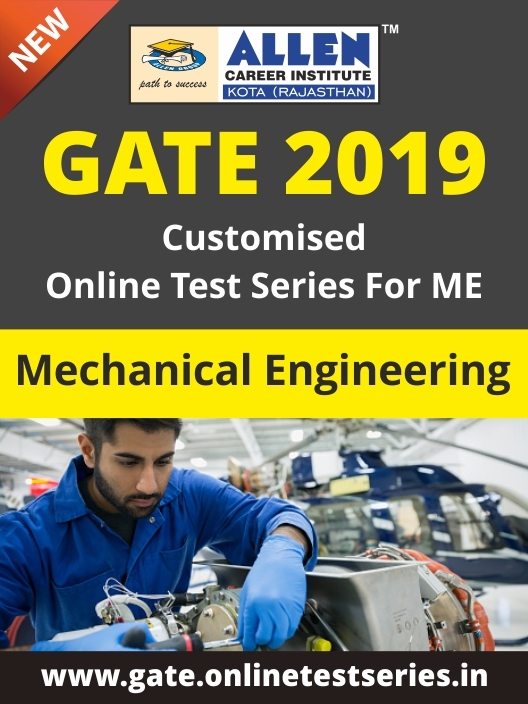 ALLEN's Customized GATE Online Test Series for ME (Mechanical Engineering) is an exclusive custom-built preparation package for GATE 2019 ME aspirants, which allows them to pick and choose the tests as per their subject need. Prior to enrol for complete GATE Online Test Series of ME, aspirants can purchase customized test series and analyse it. This unique concept also helps you to create customized test plan for the most effective preparation that facilitate you to focus on your weak areas in the subject & the topics, track your progress and improve faster.